Are we still talking about more development on the County Grounds – and consequent loss of potential parkland? Where will the line be drawn? If you haven’t been to Ronald McDonald House it’s probably because you haven’t needed its services. Officially called Ronald McDonald House Charities of Eastern Wisconsin, Inc., the organization provides a place to stay as well as outreach programs for families of children who are patients in Children’s Hospital. Perched on a lovely hilltop across Watertown Plank Road from the hospital and surrounded by acres of meadow and woodlands, it is ideally situated for its mission. Now, due to the success of its worthy cause, the organization wants to nearly triple the size of its facility and is ready to pursue that plan. The bucolic setting is hardly a coincidence and provides much more than proximity to the hospital. Natural surroundings are often preferred by hospitals, hospices, and convalescent homes because they promote healing and provide a welcome respite to patients and visitors alike. 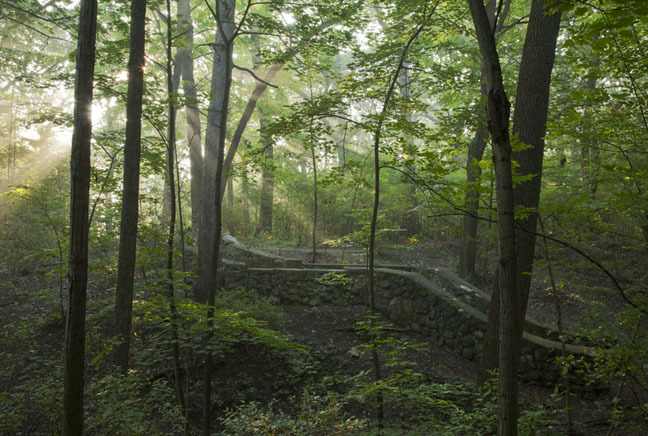 In fact, if you walk through the woods and down into the ravine behind Ronald McDonald House you will find the remains of stone stairways, overgrown sidewalks, and a crumbling foundation or two. Some of the county’s most needy patients once strolled these pathways behind the County Asylum. 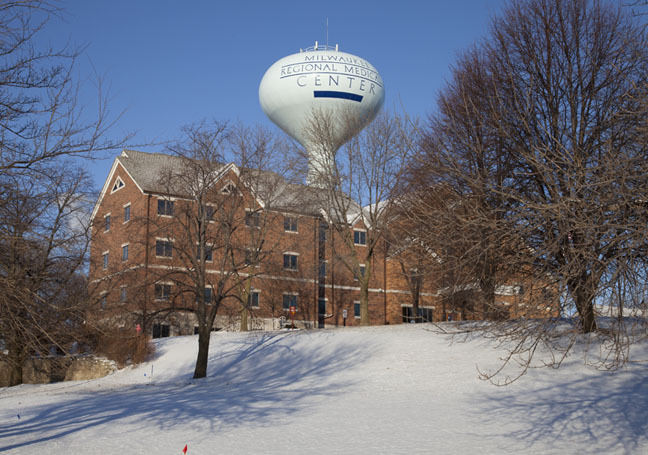 The entire Medical Complex owes its very existence to the exurban terrain that Milwaukee County began purchasing for it in 1852. Ronald McDonald House is truly privileged to be surrounded by such beauty on the County Grounds. What a perfect match between such undeniably important humanitarian services and nature! What will happen to this symbiotic relationship when—once again—the County Grounds are faced with further development pressures? As I write this, still ringing in my ears are the words of the Wauwatosa mayoral candidates who spoke Monday evening at a forum sponsored by Patch. All three insisted that no more of the County Grounds should be developed. 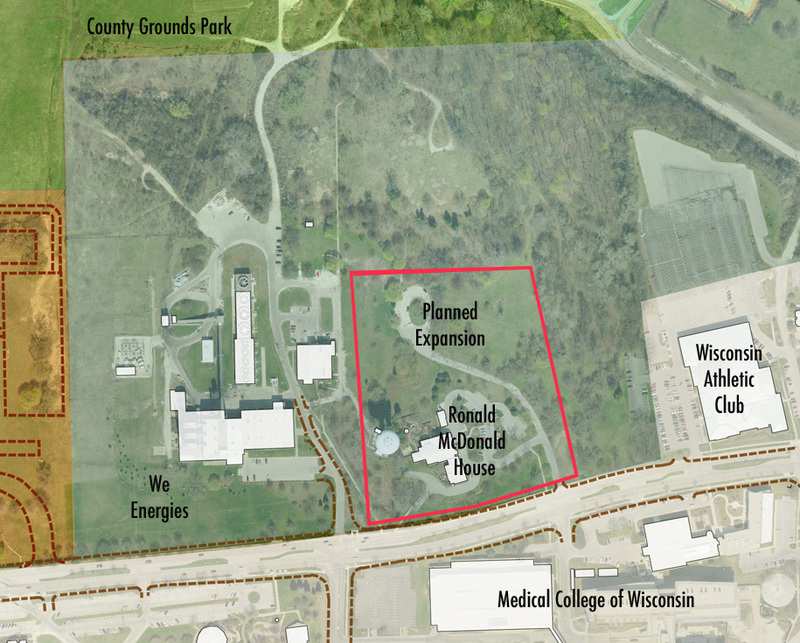 Alderman Donegan said, “I don’t think the people of Wauwatosa will tolerate further development of the County Grounds.” John Pokrandt was even more categorical. “The remainder of the land absolutely must be protected,” he said. I understand his passion. I share it. 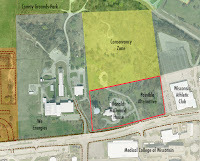 Monday afternoon, the same day as the forum, representatives of Ronald McDonald House met with members of the County Board and County Executive’s office to present their request for an expansion. 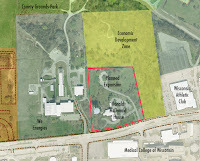 Their existing facility rests on four acres and they are requesting an additional seven acres stretching out towards the meadow and the wood. They can do this because throughout the more than 10 years of controversy about saving open green space approximately 30 acres on the southeast corner of the County Grounds has never been part of the discussion. 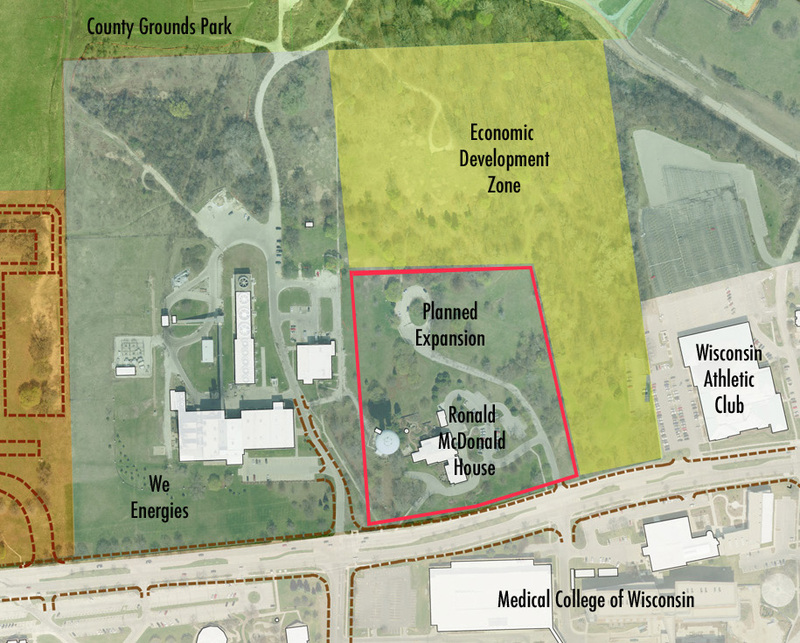 It is still zoned by the City of Wauwatosa for economic development. The staff and the board of Ronald McDonald House are sensitive to their situation. Last week I met with Linda Kohler, President of RMH, Bob Monday, Chair of the Board, and Ann Phillips, Head Gardener. Because they understand the value that the citizens of Milwaukee County place on this land they also care about how the community will react to their request. They plan to meet with environmental organizations and other concerned citizens to discuss how best to satisfy everyone’s concerns. I agree. If the expansion plans are shifted to concentrate development only along Watertown Plank Road and if—this is the crucial point—the northern portion of the site is truly protected from further development with conservancy zoning, then it will be a win-win-win, as I see it. Ronald McDonald House will be able to expand to meet its needs. The general public, including the literally hundreds of dog-walkers who regularly enjoy this site, will retain one of the jewels of the County Grounds in perpetuity. The third win? Children’s Hospital, along with the entire Medical Complex, will benefit not only from the expansion of services at Ronald McDonald House, but also from that symbiotic relationship with nature that is so restorative. It could seem as though the cards are stacked against conservation, since the current zoning envisioned development for medical use. However, a lot has occurred on the County Grounds since that parcel was zoned. The Medical Complex has continued to grow, choosing increased density instead of sprawl that would encroach on the valuable amenity across the way. 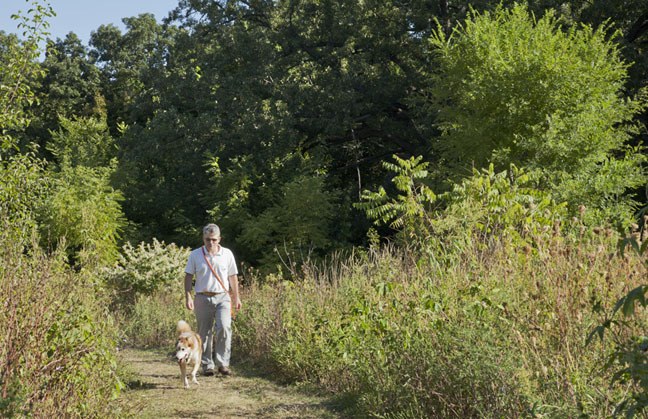 The public has spoken out repeatedly on the need for preservation—and along the way has learned to love the land by getting out and walking on it. 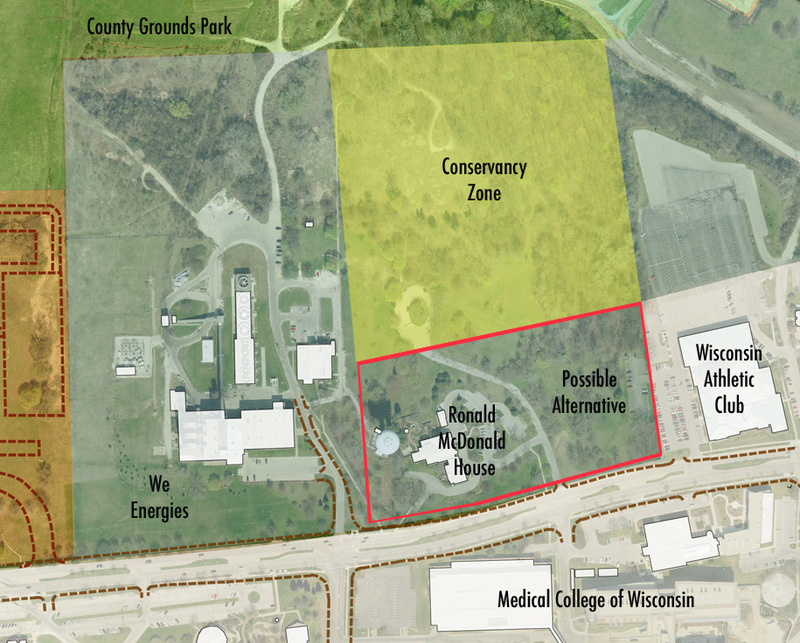 Wauwatosa has debated the types and scope of development on the Innovation Park site and the city already has rezoned parts of the grounds, including what is now Milwaukee County’s newest park. The mayoral candidates are only the latest in a series of civic leaders who have come to recognize the importance of our parks and open space to sustainability and the quality of life in our community. The time is right for rezoning this last piece of the County Grounds puzzle. What we have here really is akin to New York City’s Central Park. It’s value as parkland far exceeds any other use to which it may be put. 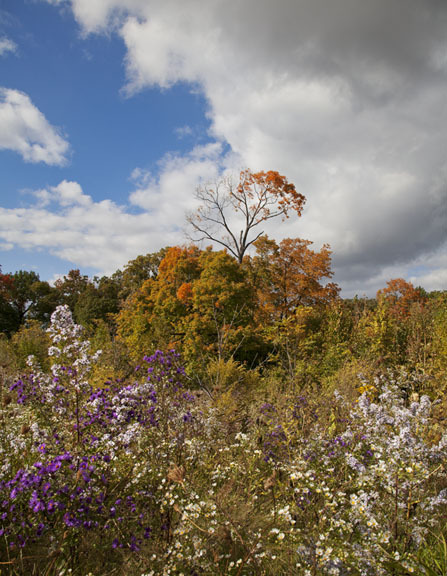 And this 20-acre corner truly is one of the most significant natural gems on the entire grounds. I recommend that you visit Ronald McDonald House and ask for a tour. Its magnificent great room is the hub of a network of excellent programs. The need for more space will quickly become apparent. When you finish that tour, take a walk out back. Stroll beneath the grand old oaks and maples. Listen for the owls; watch for the hawks. Discover for yourself the reminders of its storied past. What a perfect match! Let’s pursue the win-win-win solution and complete the puzzle that will make the County Grounds a matchless asset to the region – as parkland. The mayoral applicants are only the newest in a sequence of social management who have come to identify the value of our recreational areas and open space to durability and the total well being in our group. That would be a prime place to put up a house for your own. I wonder if it would be just as easy though. Are you ready for Aldo Leopold Weekend? Milwaukee River Greenway in White!